Whether you jet-set around the world or across the United States, traveling for business requires coordinating many moving parts. One of the biggest headaches is organizing transport to and from the airport. This is especially true if you are heading out first thing in the morning or arriving home after a red-eye. No one wants to burden friends and family. Paying for airport parking can be expensive and security unreliable. Furthermore, ordering a ride from an on-demand service at abnormal hours may incur extra costs and unpredictable waits. Annapolis Flyer Cab offers the solution to your airport transit. 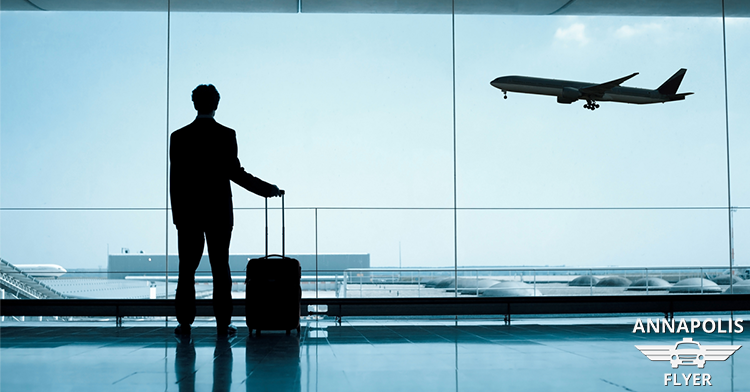 For careers that travel the most, you can set up an executive airport transportation schedule contract. This contract ensures safe, reliable, convenient transport to and from the airport. Here are five careers that travel. A Recruiter’s career may involve travel all over the world fulfilling corporations’ employment needs. On the other side, they may also travel assisting candidates in their job pursuits. These days most “traveling salesmen” are not selling vacuums out of the trunk of their cars. These men and women are flying all over the globe presenting international contracts in all aspects of business. Reliable airport transportation is imperative, especially when a deal is on the line. Consultants travel the world assisting companies with all their business needs. No matter the industry, when a CEO hires a consultant, it comes with high expectations. Therefore, getting to and from the airport safely and quickly is a must. Whether shooting a tropical island wedding or off on foreign assignment for a news organization, photographers require trustworthy transportation. This is especially true because they will be toting expensive equipment. Whether for special occasions or corporate seminars or training, event planners journey around the world. Their job entails not only the planning but the execution of the event, which often includes traveling to the site location. Whatever traveling career you are in, one of your top priorities must be safe, reliable, convenient transport to and from the airport. Do you have one of these careers that travels the most? Never worry about how you will get to the airport or back home after a trip. Contact Annapolis Flyer Cab today to arrange your executive airport transportation schedule contract. Ensure the ground travel portion of your trip, every time. Contact us to learn more.